Lantern Demo from Sami Suteria on Vimeo. On your home server (raspberry pi or similar) install and run HAP-NodeJS and a MQTT Broker like Mosca. 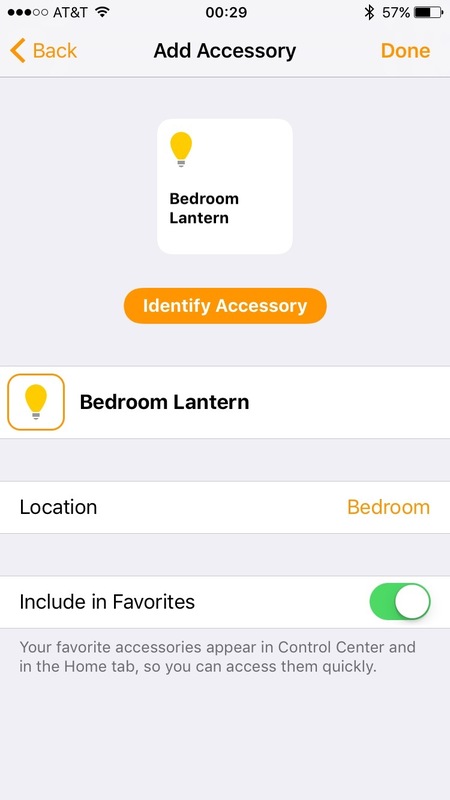 Create a new “accessory” by adding a file to the accessories folder - in my case I called it BedroomLantern_accessory.js. Mine is a copy of Light_accessory.js with the name changed and MQTT added. You need to add an MQTT connection at the top of the file and make a publish call in the setPowerOn function. var status = on ? 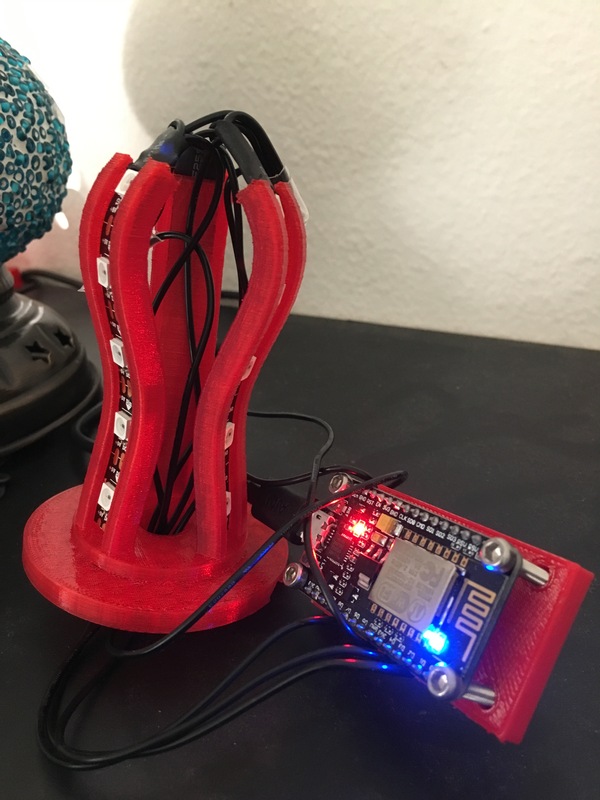 "on" : "off"
For hardware you can use whatever you want that can connect to your home network and has an MQTT library. I like to use the ESP8266 chip. You probably want to get a development board for it and I recommend the NodeMCU. You can get it off eBay/Amazon for pretty cheap ~$5 ebay. For the ESP8266 you can program it using the ArduinoIDE. Then we want to connect to the MQTT server so we use a library called PubSubClient. You’ll need to modify your setup and loop functions now. 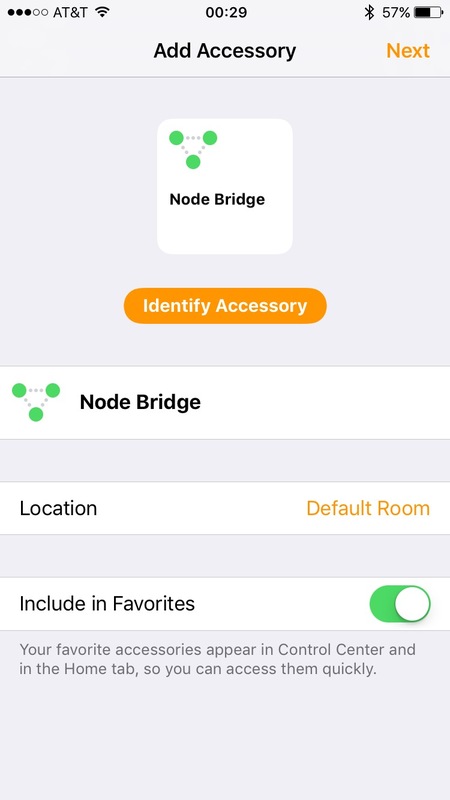 Assuming all went well so far - you can now setup your “bridge” and device with the Home app on your iPhone running iOS 10. Now for the fun part - adding the LEDs. 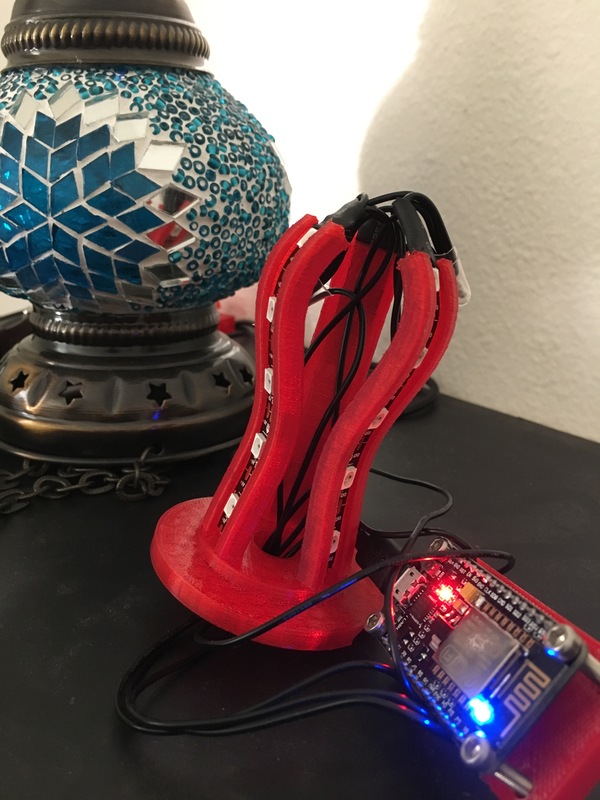 I like to use Adafruit’s NeoPixels because each LED can have a different color and an entire strip can be controlled from 1 pin from the microcontroller. Adafruit sells these LEDs for a nice markup so I prefer to buy them from eBay or Alibaba. 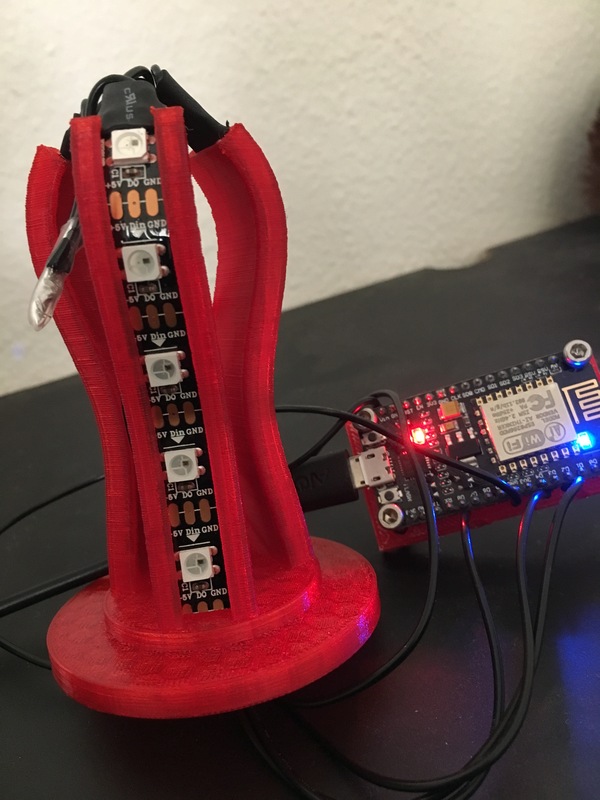 The NeoPixels are actually a common LED package called the WS2812B so you can just search for that and find it at a fraction of the cost. Adafruit does have a nice library for controlling them but I actually prefer another library called FastLED. FastLED supports a lot of different LED types and has a nice abstraction layer on top of all of them. It also takes up less memory on the microcontroller. So find a nice piece of wood or plastic or something to hold the LEDs then solder them to the microcontroller pins. The NeoPixels run anywhere from 4-6V so I just used the Vin pin of the NodeMCU board for power (USB provides 5V) and attached each strip to a different digital out pin. 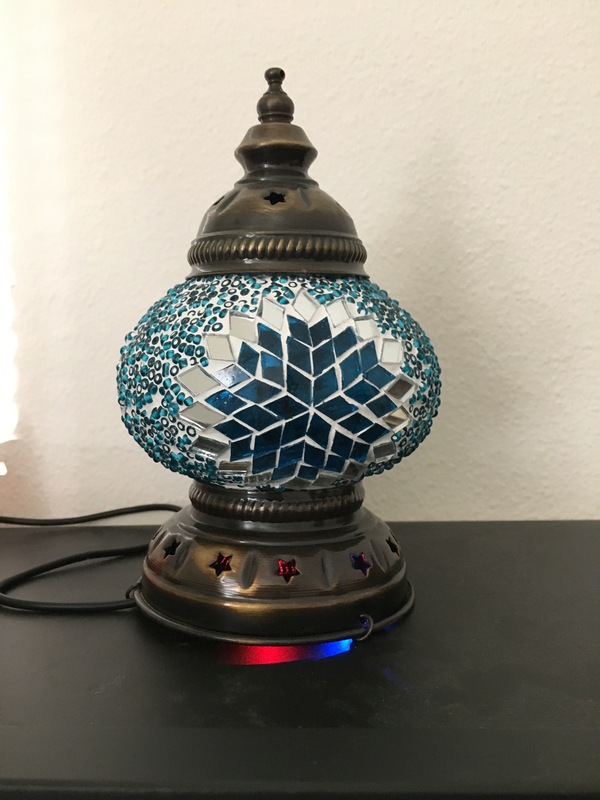 Then I just stuffed everything inside a glass lantern I got from Turkey while traveling. So to run the LEDs you need to setup the FastLED library in your microcontroller code. And then uncomment the turnLEDsOn() and turnLEDsOff() functions from your callback function. And thats it!